Ron hails from Alabama and has worked for 20 years in the commercial banking industry. He is now the Vice President of Volunteer Bank. 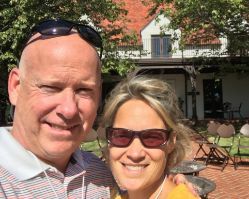 Ron served as an elder at Grace Presbyterian Church in Cookeville, TN before he and his family moved to Chattanooga where he now serves in the same role at First Presbyterian Church of Chattanooga.